Go on an Asian adventure today and visit the must-see destination of The Philippines. 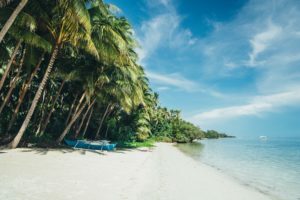 Offering attractions such as Puerto Princesa Subterranean River and Boracay white beach, this country offers its travelors one of the widest arrays of activity types. Immerse yourself into this amazing cultural world today and experience the wonderment that is Asia. Webtours has no holiday packages in Philippines. Please broaden your search terms or send us an enquiry so we can assist with some fabulous packages to this destination.